Selamab was born in a small Ethiopian town known as Ambo. When he was only two, his parents moved to another town due to intense persecution against them for professing faith in Christ. He was educated in Hosanna until the age of 12, when he began attending school in Addis Ababa, the capital of Ethiopia. At the age of 15, the Lord consumed his heart with a love for Christ and His people. Selamab graduated from Evangelical Theological School in Addis Ababa in 2003, and then began serving for Sudan Interior Mission (now called “Serving In Missions”) as a publisher, mostly proofreading and translating. Since 2005 he has been living in the US. In 2010, he earned a Masters of Divinity from Midwestern Baptist Theological Seminary in Kansas City, Missouri. Selamab currently serves as an intern for Christ Fellowship of Kansas City (www.ChristFellowshipKC.org). 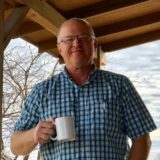 He desires to preach in the States and in Africa, and is already translating books and other materials for an Ethiopian context. 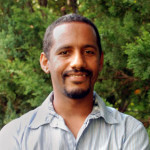 On his Ethiopian blog, Selamab.wordpress.com, Selamab posts personal articles as well as translated materials. You may reach Selamab through CCW at info@ccwtoday.org. Tony is the graphic designer for CCW. CCW writer, and author of CCW’s Delivered By Desire: The Encouraging Truth About Christians and Sexual Purity, and co-author of Divorce and Remarriage: A Permanence View.